Graduation is less than 20 days away. I’m in denial. I am afraid. I am overwhelmed. I remind myself that I am brave. I repeat these affirmations under my breath each and every time my chest grows tight. These moments of stress and anxiety do not define me. I am perfect as I am. I am present in this given moment. I look around me. I take a deep breath in. I relax my jaw and exhale. I am grateful. This mantra is something that I frequently repeat during my yoga classes and often to myself. A large aspect of my journey to self love (the journey is never ending!) includes accepting myself just as I am. Believing this mantra myself was not something that happened overnight, but rather unraveled over time. What inspired this post was a conversation about this mantra with my friend, Kyle. He argued that the mantra “seems to discourage growth and isn’t open-minded enough about the faults that you do have.“ I questioned this for a moment. Why is there a constant desire to change from just how we are, our true and natural selves? The word perfect does not uphold its typical definition through this mantra. The dictionary describes perfect as having no flaws, yet my definition includes these imperfections. Our faults are what make us perfect. Change does not mean erasing what is wrong, but appreciating all parts in order to better understand oneself. This appreciation allows for growth which is essential to life! I strive to be better by accepting how I am in this moment. Let go of the expectations of perfection and just be. 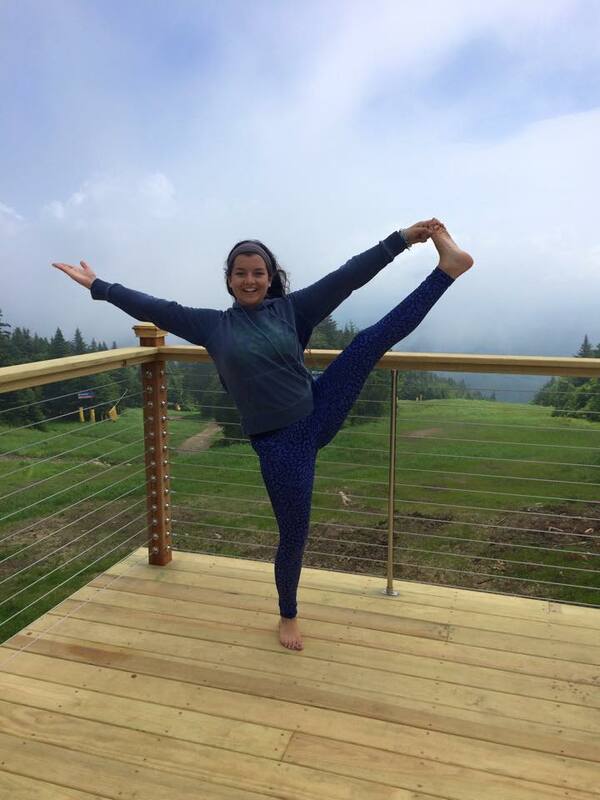 This is a picture of me at Wanderlust Yoga and Music Festival on Stratton Mountain in Vermont!